Nothing brightens up a workplace like plants! Emitting from plastics/synthetics, in furniture, fittings, computers, printers and more, cause loss of concentration, headaches, eye, nose and throat problems. Exchanged for equal amount of O2 two-way refreshment! 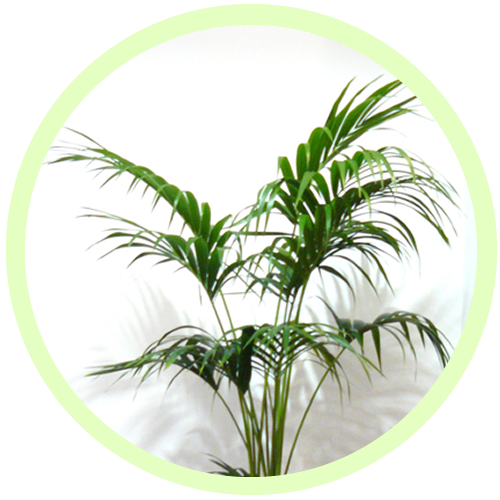 And a productivity improvement of less than just 1% more than repays the cost of the indoor plants. Stress-related illness is a widespread urban health concern18,19. First such study to use standard international psychological surveys. 40 respondents. 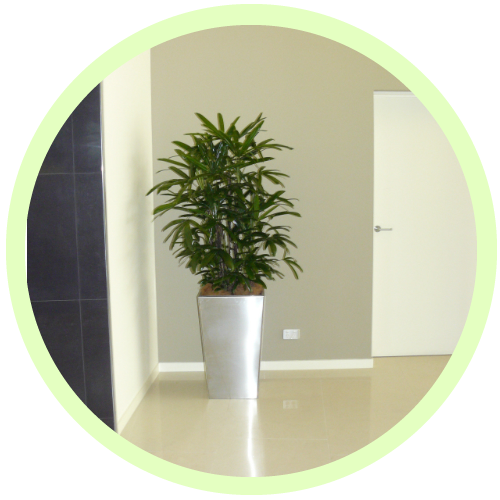 Indoor plants directly raise spirits – Increasing productivity and performance. Cleaner air is healthier air, and leads to clearer thinking! Plants on or near desk preferred to leafy window views, Why? They give more immediate, living, green aesthetics ‘biophilia’! *Criteria list – NSW Government – Workplace Guidelines, 2010. 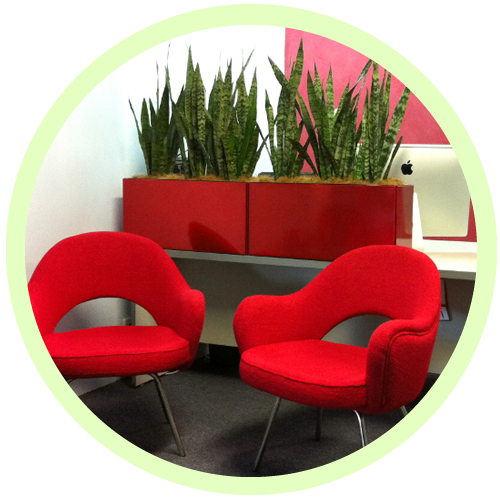 Think desk-tops; file-top ‘hedges’; green zones; nooks; spaces; walls, or vertical gardens. 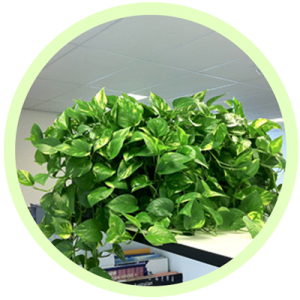 There’s a ‘living green’ contributor to productivity & workplace sustainability in every building situation. 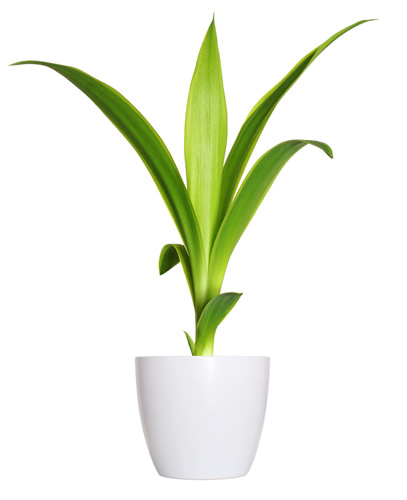 Plants in your Workplace improve your triple-bottom line.